We’re starting off the summer right with homemade limoncello on hand. Summer cocktails and light citrus sipping on the patio are in store this season. My friend Carol and I made over twenty bottles of lemoncello, so now we just need the right cocktail recipe for our perfectly tart spirit. 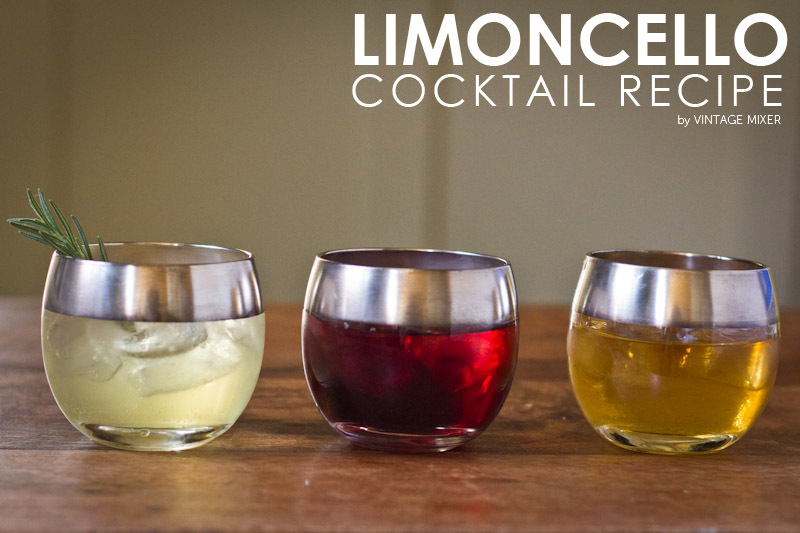 Today I’m sharing a few options for Lemoncello cocktails. Of course, you can also drink lemoncello straight on the rocks, or use it in baking, like in this Limoncello Tres Leches Cake that we make every summer. And if you didn’t happen to spend the last 3 months creating limoncello, you can always pick some up at your local liquor store. We tried several combinations of this cocktail and landed on a few favorites: Limoncello & Whiskey with a splash of simple syrup (Josh’s pick), Limoncello & Tart Cherry Juice topped off with soda water (my favorite), and straight up Limoncello & Sparkling Water. The recipe below is really more a variety of suggestions to get you inspired as you create your own mixture. I decided I liked to turn up the volume of the tart flavor of the limoncello by adding the tart cherry juice but you may want to balance it out with something more sweet like a sweet limeade. How would you like your limoncello? Add ice to a small sipping glass pour 1 ounce of limoncello then add your second choice of beverage. Garnish with something lovely. Keep in mind that limoncello is already high in alcohol because it's made with vodka so, if you're adding more liquor you may want to add some sparkling water as well. Okay, I am going to show up on your doorstep one evening, with the hope of sampling some of these drinks. Amazing, Becky! 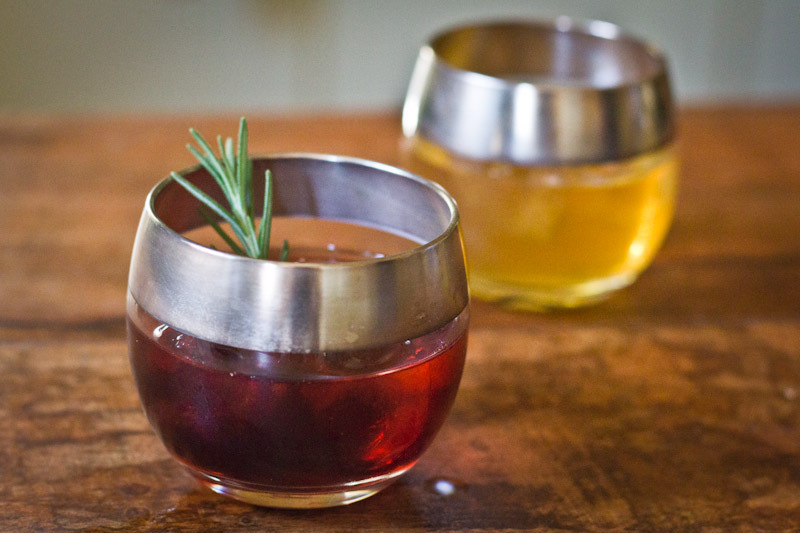 Where did you get your fun silver rimmed cocktail glasses? I love them. Have been making limoncello for a few years and love to see new ways to use it. Thanks for sharing. I found them at a vintage store here in Salt Lake. They are called Dorothy Thorpe roly poly glasses and you can sometimes find them online at etsy or ebay. Limoncello Martini: 4 oz vodka of choice, 0.5 oz. Limoncello. Serve chilled straight up in a Martini glass or on the rocks. Garnish with lemon peel.